Luxury two-bedroom villa with magnificent sea views. Mature style villa suites your fancy at first sight. The unique design of the spacious rooms is made to the highest standards. Comfortable furniture, granite countertops, air conditioning, heati.. This villa is definitely situated in an idyllic location in the centre of Protaras. There is long beach at Flamingo Bay within a short walking distance. Within a five minutes walk you will be sipping cocktails or shopping until your heart is conte.. This luxury villa with stunning panoramic views from the windows and a lush garden in a quiet location on the hillside Protaras. You are guaranteed a relaxing stay. This villa - a harmony of forest area, where one can leisurely stroll to the cente.. 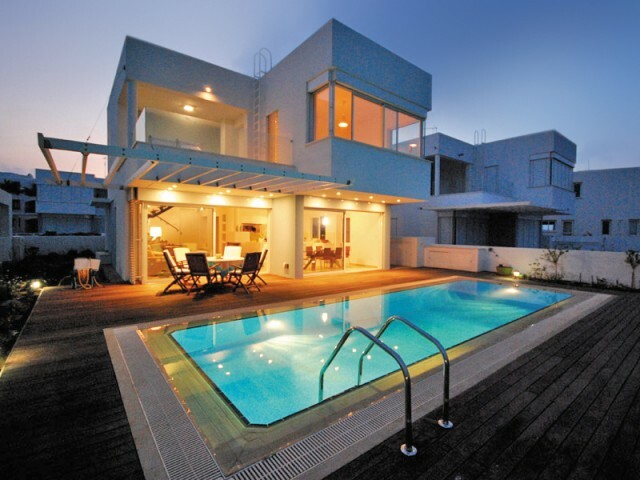 The two level villa is located on the seafront in the heart of Protaras resort. It offers a private pool, fully equipped house overlooking the Mediterranean Sea, as well as free Wi-Fi. Tribo Beach is 500 meters away. Elegantly designed, the bright.. The villa is located on the main street of Protaras, just a few steps from the sandy beach of Fig Tree Bay (Fig Tree Bay). This is a modern villa with three bedrooms, furnished with taste and high standards. The stylish interior and a convenient l..
Landscaped gardens, lots of greenery, a large pool, very spacious for the whole family, it will be an unforgettable vacation for the whole family. Three large bedrooms with built in wardrobes, air conditioning in all rooms. Spacious bathroom on th.. 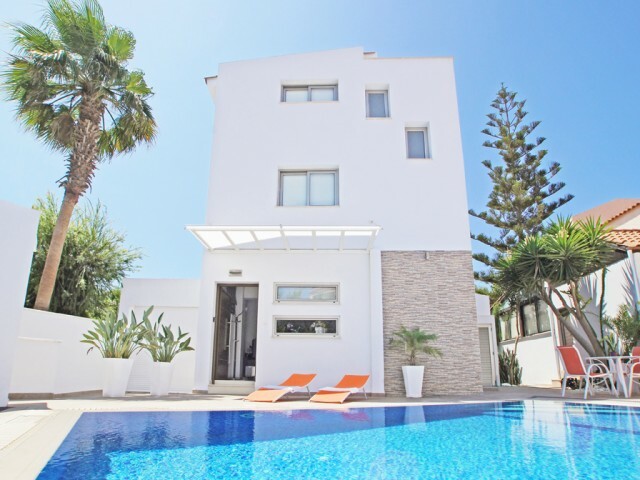 Fully equipped villa is located in the center of the village of Ayia Napa, 500 meters from the Gulf of De Costa. It offers a private swimming pool and a furnished sun terrace. Distance to restaurants and cafes within 400 meters. 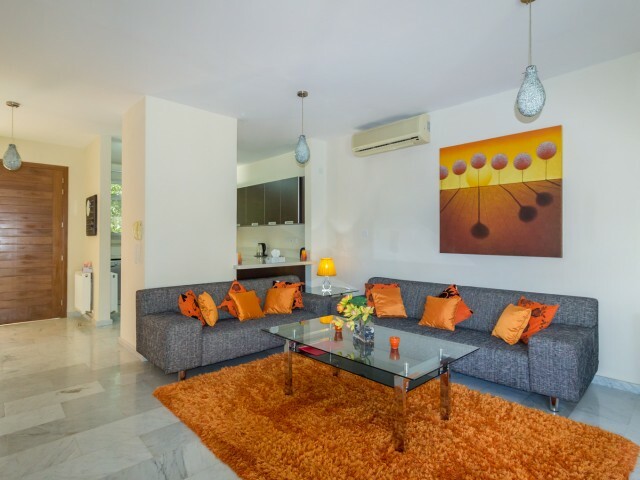 Modern design vill..
New 3 bedroom villa on four levels of VIP class (3 bedrooms, large lounge, kitchen combined with a large dining room, a lounge with a bar, maid's room, laundry room, 4 toilets, 3 bathrooms, balconies, utility rooms) is located in heart of the tour.. This magnificent villa with private pool and garden, located in a prestigious area of ​​Limassol, next to "Atlantica Bay Hotel" and is a 3-minute walk from the sea. On the top floor of the villa has a large terrace with a beautiful view of the sea.. The new three-bedroom villa is located in a privileged area next to the hotel "Atlantika Bay Hotel", close to the sea, for 2-3 minutes on foot. The villa has three floors, the top floor - a large terrace, where during the day you can enjoy the gen..